A few simple ingredients popped into the oven creates this delicious dish! 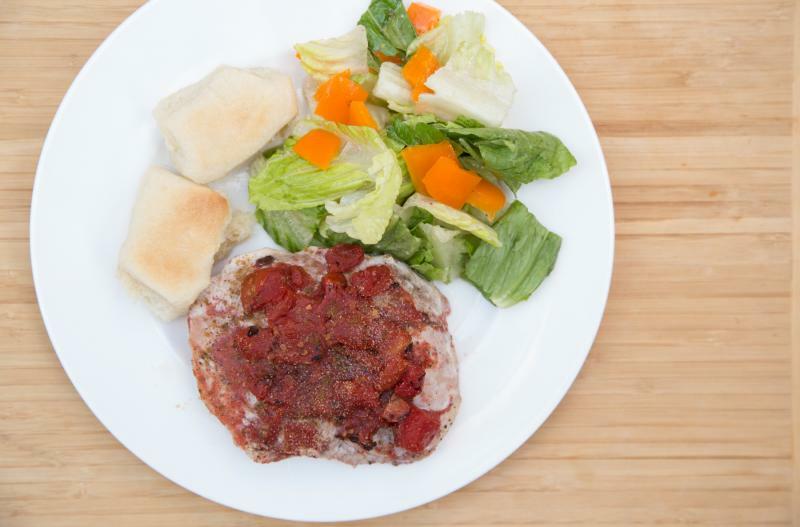 Preheat oven to 350 F. Place the pork chops into small baking dish and season both sides with salt and pepper. In a mixing bowl, toss together the diced tomatoes with minced garlic, ground cumin and chipotle chili powder. 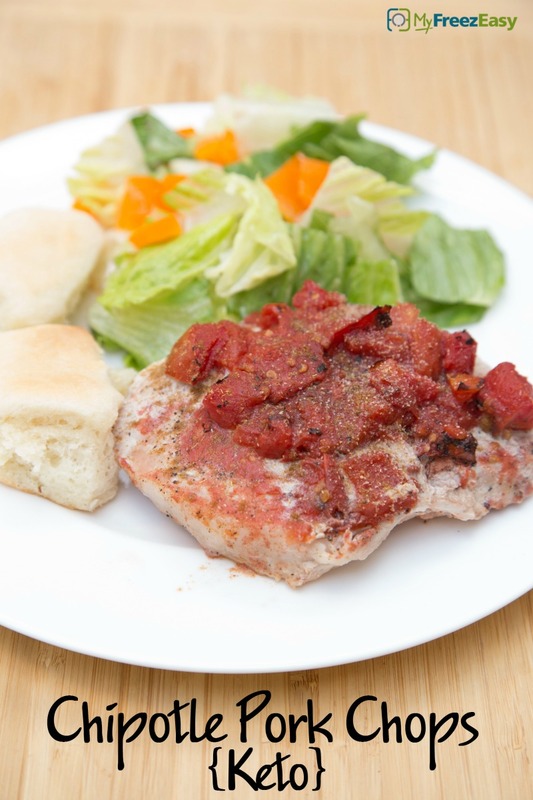 Pour the tomatoes over the pork chops and bake in the preheated oven for 30 to 35 minutes, or until pork is cooked through. Let rest 5 minutes before serving. Serve Chipotle Pork Chops with cauliflower rice and veggies. Open 2 cans diced tomatoes. In a mixing bowl, toss together 2 cans diced tomatoes with 2 tsp minced garlic, 2 tsp ground cumin and 2 tsp chipotle chili powder. Put baggie in the freezer and freeze up to 6 months in fridge freezer or 12 months in a deep freezer. Thaw in the fridge overnight, or a warm bowl of water for about 20 minutes, before transferring to the baking dish and baking as directed. Serve with cauliflower rice and veggies.